New York State is historic. It's untamed. It's iconic. But more importantly, it's anything you want it to be. 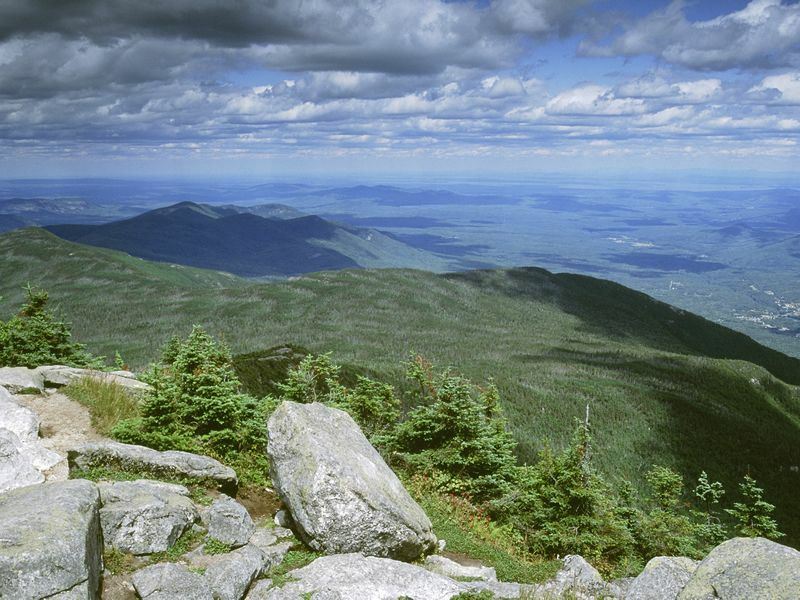 Did you know that Adirondack State Park is larger than Yellowstone, Everglades, Glacier and the Grand Canyon combined? So, let's go! 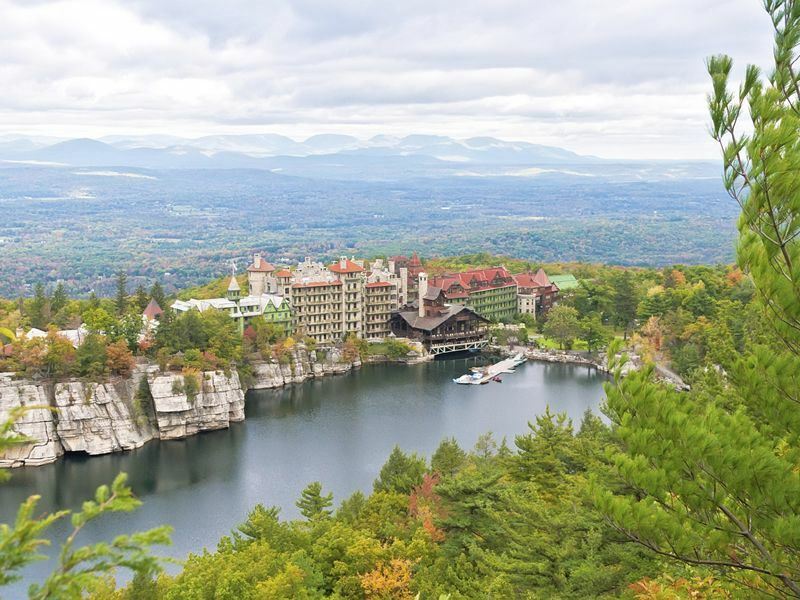 Explore the state's 11 unique holiday regions and discover what it is that you love about New York. From the foothills of Lake George, to peaks near the Canadian border, the Adirondack Mountains dominate the skyline in all seasons. Discover thousands of miles of waterways in and around Lake Placid, providing endless adventures on the water - think canoeing and kayaking, to windsurfing, sailing or trophy bass fishing and don't forget the beaches! Or go for a hike, covering thousands of miles and opportunities from beginners to expert. Keep busy shopping in village stores and outlets, grab a bite to eat, stop along the Adirondack Coast Wine Trail, or sit out under the stars, breathing in the fresh mountain air. A great choice of accommodations, from campgrounds to resorts, are spread amongst the region reflecting the unique options and the quality of life provided by mountain living. Saratoga and Albany, the state's capital, have roots that run back hundreds of years. From historical parks to old music halls, the Capital-Saratoga region will make a single day feel like a journey back in time. The region is also known for its strong sporting tradition. From the National Museum of Racing to Saratoga's world-class polo matches and raceway, the excitement is non-stop near the state's capital. Biking, hiking, boating, floating and horseback riding; just a few ways to get around the scenic ranges of the stunning Catskills. Whether you're coasting along the Hudson, hiking through one of the many mountain trails or taking the Delaware and Ulster Railroad, you're sure to find acres upon acres of beautiful wildlife. For those craving a more civilised experience, the Catskills are home to several cultural festivals, such as the Belleayre Music Festival and a slew of seasonal events in Bethel Woods-home of the historical Woodstock Music and Arts Festival. For a trip down memory lane, or a jaunt through the forest, there is nothing quite like the Catskills. Central New York is not only the heart of the state, it's the soul, offering loads of attractions unique to the state. For those who prefer the great indoors, there is the National Baseball Hall of Fame in Cooperstown, as well as the Northeast Classic Car Museum. For the outdoorsy types, central New York holds Glimmerglass and Chittenango Falls state parks. Central New York, is also known as America's Craft Brew Destination. A notable part of this region is the number of impressive rock formations in scenic places like Rock City Park and Panama Rocks Scenic Park. Arts and history are rich throughout the region as well, with roots tied to Lucille Ball and Desi Arnaz, Amish communities, and a number of famed arts communities with over a century of history in the region. Try biking, hiking, swimming, and fishing throughout the region. Experience the beauty of Allegany State Park. Have you been on a Mountain Coaster or rafted the Cattaraugus? Perhaps a tour of Griffis Sculpture Park and a picnic is on your agenda - you can get your picnic fare at one of hundreds of farmers markets. The beauty of the Finger Lakes is sure to grab your attention and keep it. Whether it be winter, summer or fall, the Finger Lakes provide a wonderfully scenic destination year round. Those staying inside can enjoy a bevy of expansive shopping centres and museums. Or you can head to Owego and Hammondsport, voted the "Coolest Small Towns in America" in 2011 and 2012 to learn why! Let's not forget the award winning wineries and craft breweries, or the fresh foods and gourmet delights that can be enjoyed too! Niagara Falls, two Great Lakes and the Queen city: Buffalo. Greater Niagara is New York's resource for adventure taking visitors to greater heights with its astounding list of regional offerings. Experience both the cultural treasures and natural wonders. In Niagara Falls State Park, you'll sail right up to the falls on the Maid of the Mist boat tour. Hardy walkers can follow guides over wooden walkways to the famous "Hurricane Deck". Nearby are theme parks, canal cruises, jet boats and get a taste for history at Old Fort Niagara. From museums to the legendary foods, you'll discover ample beauty and fun - all in Greater Niagara! One of National Geographic Traveller's Top 20 Must-See Places on its "Best of the World" list, the Hudson Valley is a photographer's paradise. 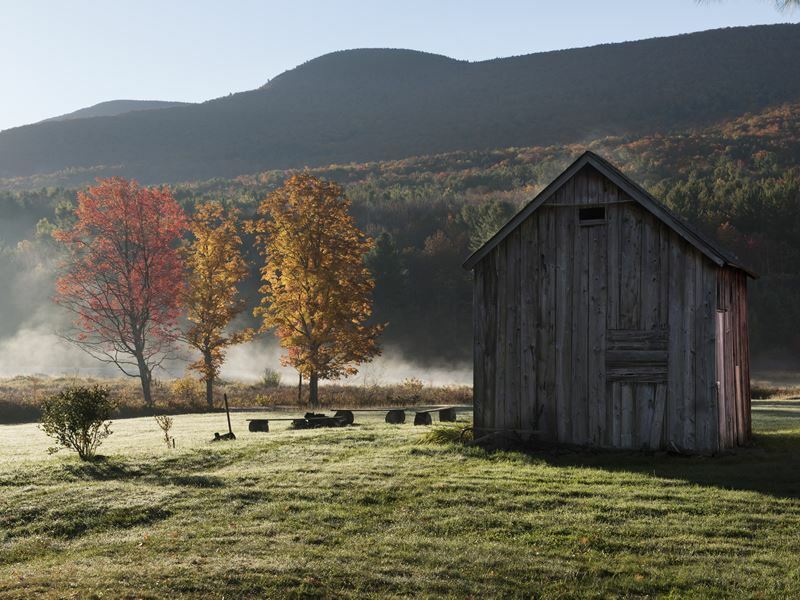 Home to some of America's most visited sites, this region has everything from sweeping rivers and majestic valleys to quiet farms and little towns. With a long-standing tradition of hospitality and a rich settlers' history, the Hudson Valley's list of attractions may be longer than the Hudson River itself! Minutes from the bustle of Manhattan lies the Atlantic paradise of Long Island. From wild waterparks and beautiful beaches to wonderful wineries, seaside dining and endless shopping. Museums and aquariums are perfect indoor destinations, while summer concerts, racing, and stunning seaside parks make for great warm-weather activities. Long Island holds something for everyone in the family. Discover NYC's best in all four seasons: entertainment, art, music, dance, sports, shopping, dining, special events, sightseeing...so much-and more-24/7. See engaging live theatre on and off Broadway. Attend free TV-show tapings with celebrity guests. Tour fabled concert halls and arenas. Explore another new museum. Hear rock bands, opera and jazz. See premieres and classics in dance. Witness another championship season among several NYC teams and enjoy one of the best meals of your life-all in New York City. And not just in one borough but in all five boroughs that comprise this remarkable city of cities. For example, Lonely Planet chose Queens as the top destination in America for 2015, proving that there's so much to experience citywide. In addition to NYC's mega museums, there are scores of other notables to explore. Standouts include the renovated Cooper Hewitt and the new Whitney Museum location in Manhattan's Meatpacking District, Staten Island Museum's new home at Snug Harbour Cultural centre on Staten Island, The Noguchi and Socrates Sculpture Park in Queens, the Brooklyn Museum and the Brooklyn Historical Society and The Bronx Museum of the Arts. New Yorkers and visitors alike take to the streets to enjoy seasonal events such as the Village Halloween Parade, the TCS New York City Marathon, Macy's Thanksgiving Day Parade and the Rockefeller center tree lighting. There are also local street fairs for feasting, dancing, literature and more. There's very little you can't experience or buy in New York City. Come visit with a spare, empty suitcase so you have room to pick up and pack everything on your shopping list. In all seasons, New York City offers you a celebration of diversity, energy, cultures, activities, creativity and interests. Further reading: From Broadway shows and Radio City Music Hall to ice skating in Central Park and Christmas shopping, discover the top 10 things to do in New York City. This water wonderland has breathtaking scenery-nearly 2,000 islands, the bright blue bays of Lake Ontario, sparkling rivers and hundreds of miles of picturesque coastline. Named one of the Top 9 Great American Drives by Budget Travel, the Great Lakes Seaway Trail leads to historic lighthouses and great summer fun, from amusement parks to scuba diving. The region's 28 state parks are ideal for water sports, fishing, boating, swimming and camping. History is famously rich in this region, as seen in the castles, and events. With hundreds of miles of picturesque Lake Ontario coastline, the Thousand Islands is a stunning scenic sanctuary! Article courtesy of I Love NY.